After looking like a former No. 1 overall pick in Week 1, Sam Bradford is dealing with a bit of a knee issue. 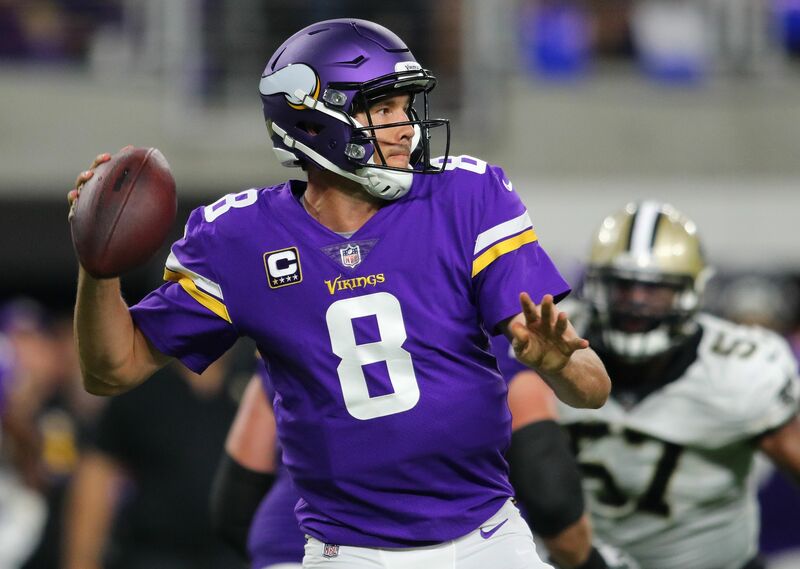 After being acquired late in the 2016 preseason, Sam Bradford had a full offseason to acclimate to the Minnesota Vikings’ offense and work under familiar coordinator Pat Shurmur this year. Coupled with vastly improved pass protection, he took apart the New Orleans Saints’ secondary to the tune of 346 yards and three touchdowns while completing 27 of 32 passes. A far tougher matchup is coming against the Pittsburgh Steelers in Week 2. On a short week an absence from practice, even this early in the season, would not necessarily be a huge concern. But Bradford was limited on Wednesday and Thursday with a left knee issue, and the Vikings are apparently somewhat concerned about it. Vikings have guarded optimism but concern about QB Sam Bradford’s left knee injury that required an MRI this week, per @mortreport. “Optimism but concern” is Schefter-speak to the highest degree, and Chris Mortensen added that an MRI on Tuesday was negative. This particular injury issue is of note because Bradford’s left knee is the one he has torn the ACL in twice during his career. For what it’s worth, considering the generally lighter nature of Friday practices, Bradford was seen throwing by reporters on site. #Vikings QB Sam Bradford was throwing during the portion of practice today open to the media. Vikings’ head coach Mike Zimmer would not even confirm the aforementioned MRI happened, but did suggest Bradford will start on Sunday. If Bradford did have to miss some time, which is far from certain at this point, Case Keenum would start under center for the Vikings. Teddy Bridgewater is not yet ready to go after a significant knee injury of his own in August of 2016, if he will be able to play this season at all, so he’s not an option to step in. I fully expect Bradford to be listed as questionable for Sunday’s game, due in part to the NFL’s elimination of the probable injury designation prior to last season. But it would be very surprising if he is inactive, as the Vikings attempt to go to 2-0 with a road win over a tough opponent.